Sub-ohm vaping is all the rage these days and I must admit, I am a little bit behind on this trend. I’ve played around with extremely low resistance in the past, but the advent of variable voltage high output devices made it unnecessary for me. 2.0ohm has been fine with me as long as I could crank the voltage up. 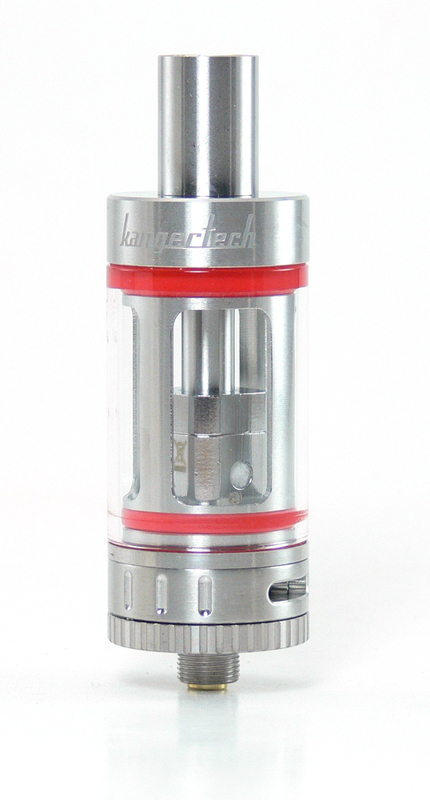 The Subtank Mini from Kanger has changed my mind somewhat. 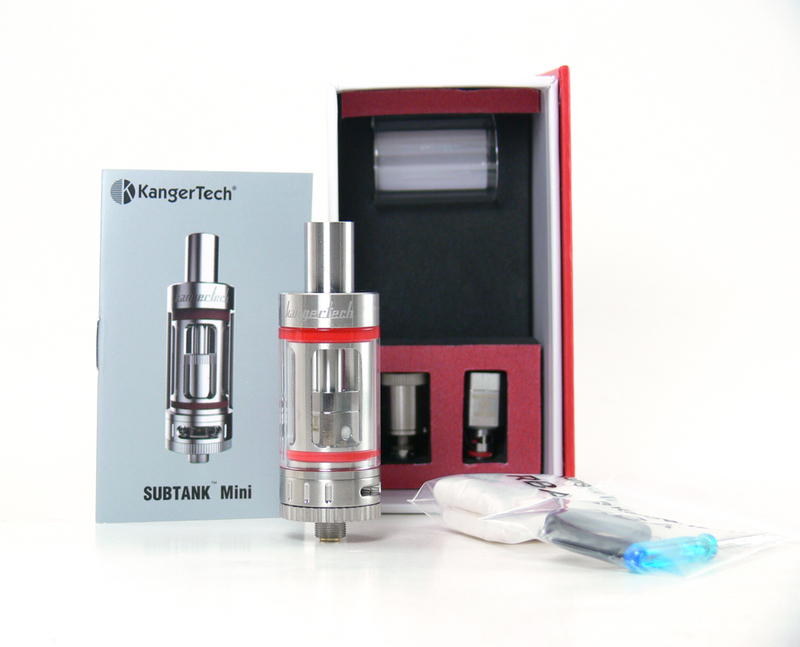 What’s included with the Kanger Subtank Mini is more than just a list of parts. The package is impressive to the point that it is a major advantage. As expected, the kit comes with the glass and metal components of the tank as well as .5 and 1.2 ohm coil heads. It also includes a replacement glass for the tank, which is a nice touch. The real bonus is that it includes a rebuildable coil head, a couple of pre-made coils and some cotton. It’s like getting a bottom coil tank and a rebuildable tank atomizer in one package. Note that the pre-builts heads and coils are all 1.2 ohm or below, so this tank must be used with a device capable of providing high wattage at low resistance. See my recent Cool Fire IV review for a good, inexpensive option. The Subtank Mini builds on the successful design philosophy of the Aerotank changeable bottom coil tank. There’s not a whole lot new to the design. It uses the same center tube arrangement to connect to a seal on the top of the coil head. The coil head screws into the base, which then is screwed onto the bottom of the tank to make a good seal. 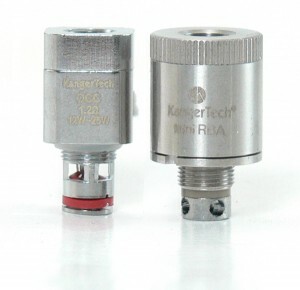 The coil head is the biggest difference between the design of the Subtank and its Aerotank predecessor. The heads used in the Aerotank and earlier Protanks are tall and thin, with wicks that protrude into the tank and a chimney inserts into the center tube of the tank. Subtank heads are shorter and wider, with enclosed wicks and uses a gasket to seal to the center tube. The change in design seems to have had a very positive effect on juice flow and the elimination of the center chimney has increased airflow substantially. The pre-made replacement coil heads are square sided with the coil easily visible inside the large opening in the top. Fairly large openings on either side allow juice to enter and cotton wicks fill the openings. The rebuildable coil head on the other hand, is round. The top unscrews as does the chamber tube. Once opened up, two screws for coil attachment are easily accessible. With the exception of a chimney on the top, the setup is very similar to the build deck of the Kayfun and similar rebuildable atomizers. The ability to increase airflow was obviously a primary focus in the design of this tank. The rotating adjustment on the base can be set to three positions. Even the smallest allows for a pretty airy draw and the largest is wide open. A wide mouthpiece is included which offers no impedance to the airflow either. The result of these improvements is airflow that offers almost no resistance and is perfect for making clouds of vapor. It’s also a lot more like smoking a cigarette than the sometimes difficult draw of other tanks. Another major improvement in the Subtank is the 510 connection. The Aerotank center pin is nearly flush with the outside threads, making for an often finicky connection. The center pin on the Subtank is slightly longer, so it is much more likely to make a better and more reliable connection to the battery contact. 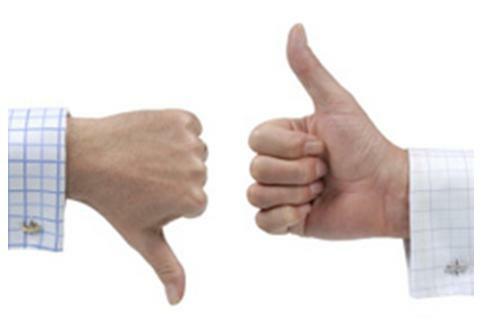 It was a difficult decision whether to lead off this review with a comment about the kit or the performance. That the Subtank comes with both pre-built replaceable coils and an RBA style head is impressive. That both of them work flawlessly is equally impressive. Starting off with the .5 ohm coil had me a little underwhelmed at first, but I quickly realized that 10 watts was just not cutting it with this tank. I normally try to go easy on a new coil head by fully saturation it before I put the tank together and then vaping at a lower power for a little while. The low power part seems not to have been necessary in this case. I bumped the power up to 20 watts and things got warm and cloudy quick. “15W – 30W” is printed on the .5 ohm head, and that is definitely where it performs the best. I was also not quite prepared for the airy draw. My primary tanks and atomizers will simply not allow this much air to get through. The free flow of the Subtank Mini actually made it difficult to get much vapor using my typical mouth-to-lung inhale. After a few direct lung inhales, however, I realized that this is the way this tank is meant to be used. It requires very little effort to inhale and exhale quite a bit of vapor that way. Mouth inhales are quite possible by swapping a slimmer delrin drip tip for the large barrel one that’s included and turning the airflow to the lowest setting, however. Clouds of vapor aside, I was most impressed with the consistency of this tank. With both the pre-built and rebuildable heads, there was nothing but warm, good tasting hits and clouds of vapor. No gurgling or flooding has occurred either. I’ve vaped both 80% PG and 80% VG juices in with both heads and the performance was flawless with any combination. Perhaps the only caveat that I have with this tank is that it may perform a little too hot for some people. An associate has also been using one and finds that the vapor is somewhat irritating to him. VG at a lower wattage has helped, but it still seems to be too much of a change from his usual 2 ohm vape. I don’t consider this a drawback of the tank, but those who prefer a cooler vape should take note. I’m interested to try a 2.0 ohm build on the RBA head to see what the results are. I’m actually a little curious as to why this design is not offered with a regular resistance alternative. This one’s pretty simple. At less than $40 for a replaceable coil and rebuildable coil tank that performs this well, this is a pretty easy recommendation. The replacement coils are a little expensive at around $4, but so far it looks like they should have a fairly long life span. Of course the rebuildable head provides even more economy. Regardless of price, I like to be able to recommend products that work well consistently and the Subtank Mini is one of them. 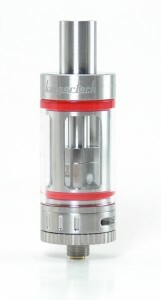 Whether for a relatively new vaper or an experienced one, this tank will appeal to both. The only caveat is the sub-ohm resistance and warmth of vapor that I mentioned earlier. This tank is designed to provide a warm inhale and clouds of vapor and it does that well. That might not be the perfect introduction for a first time vaper. On the other hand, it might just be a great way to make the transition from smokes. The Kanger Subtank Mini used in this review was purchased from Smoktek.